Out of stock! Earlybird: One Voice Awards Ticket £149.00 £129.00 The full awards experience: drinks reception, 3 course dinner and an awards show hosted by industry legend Peter Dickson, celebrating the best VO talent. Out of stock! 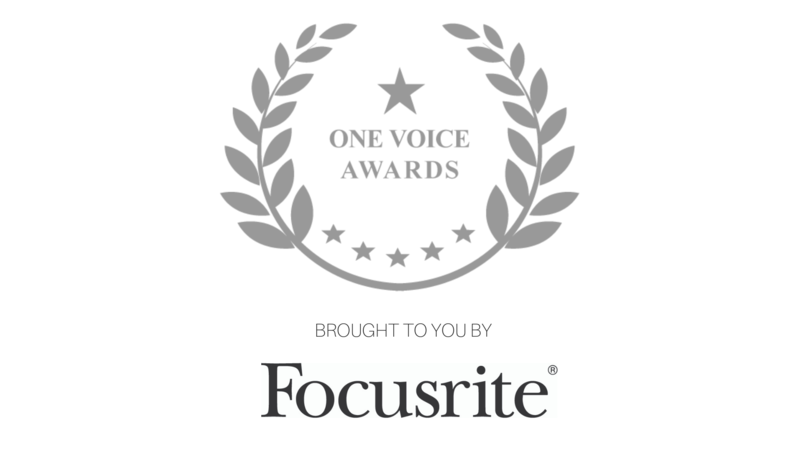 One Voice Awards Ticket £149.00 The full awards experience: drinks reception, 3 course dinner and an awards show hosted by industry legend Peter Dickson, celebrating the best VO talent. Out of stock! (GFTB Members) One Voice Awards Ticket £149.00 £129.00 The full awards experience: drinks reception, 3 course dinner and an awards show hosted by industry legend Peter Dickson, celebrating the best VO talent. Out of stock! (Conference Pass Holders) One Voice Awards Ticket £149.00 £99.00 The full awards experience: drinks reception, 3 course dinner and an awards show hosted by industry legend Peter Dickson, celebrating the best VO talent. Out of stock! Bundle Deal: One Voice Awards Ticket & Weekend Conference Pass £328.00 The complete One Voice experience: all conference talks, panels, workshops, Thames boat party, socials, expo & lunch included, along with the Saturday One Voice Awards night complete with drinks reception, 3 course dinner and an awards ceremony hosted by industry legend Peter Dickson, celebrating the best VO talent. Out of stock! Bundle Deal: One Voice Awards Ticket & Friday Conference Pass £268.00 Friday conference access: Friday talks, panels, workshops, Thames boat Party, expo & lunch (+ Thursday conference access included free!) along with the Saturday One Voice Awards night complete with drinks reception, 3 course dinner and an awards ceremony hosted by industry legend Peter Dickson, celebrating the best VO talent. Out of stock! Bundle Deal: One Voice Awards Ticket & Saturday Conference Pass £268.00 Saturday conference access: Saturday talks, panels, workshops, Saturday night social, expo & lunch (+ Sunday conference access included free!) along with the Saturday One Voice Awards night complete with drinks reception, 3 course dinner and an awards ceremony hosted by industry legend Peter Dickson, celebrating the best VO talent.